Recharge and reward your team with an afternoon of printmaking, designed to encourage creativity and collaboration. 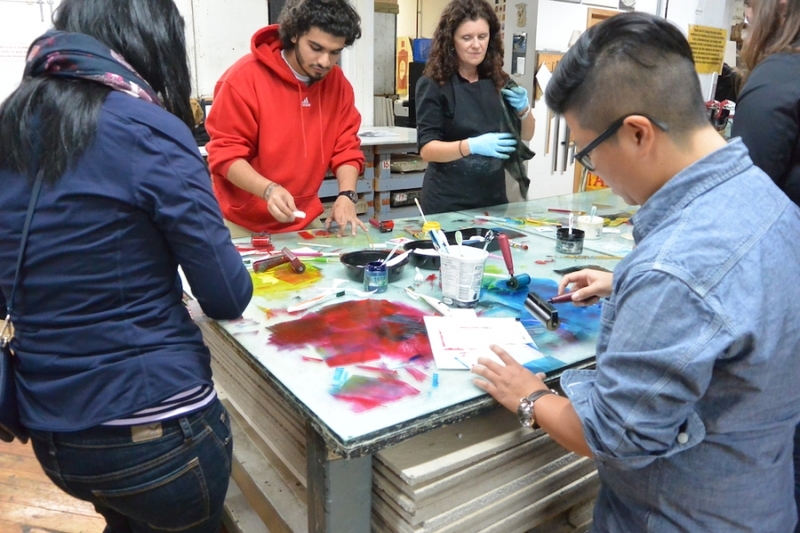 Our artist/instructors will introduce the group to monoprinting or screenprinting in our professionally equipped studio. Participants will leave with their own original works of art on greeting cards or ready to frame. For more details or to book your workshop today, please call 416-504-8238 or email us.